Confidence gives you an advantage in any situation. You’re more likely to ace an interview, charm your date, or convince your child to eat their vegetables when you’re sure of yourself. 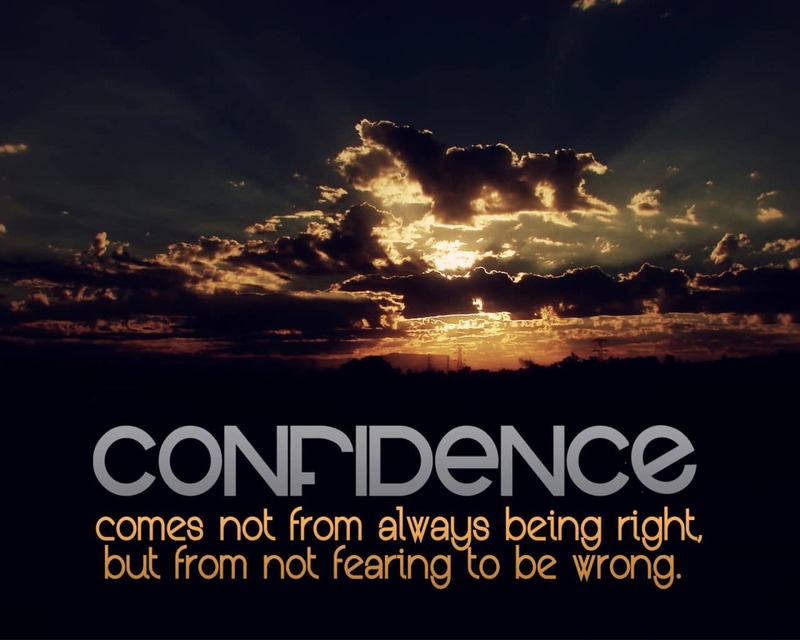 In fact, just looking like you’re confident is often enough to make you more persuasive and successful. Plus, our behavior tends to shape our thinking, so acting assertive will help to make your doubts and fears melt away. Even if the thought of confronting your boss or speaking in public makes you nervous, you can appear calm and collected. Try these tips for training yourself to look confident under pressure. Adjust your posture. The way you hold yourself and move around plays a big role in determining your mood and how others see you. Make it a habit to sit and stand with your back straight and your shoulders back. Distribute your weight evenly and tighten your abdominal muscles. Make eye contact. Hold your head and your gaze up. If you find it uncomfortable to look someone in the eye, try focusing on different areas of their face for a couple of seconds at a time. The results will be about the same. Shake hands. What’s your handshake like? Check that your grip is reasonably firm, and you hold on for about 5 seconds. Working on your handshake may also remind you to keep your hands out of your pockets. Open up. Overall, think in terms of taking up whatever space is available to you. Uncross your arms and legs. Plant your feet about a foot apart. Lean toward someone while they’re talking to you. Slow down. If you tend to move faster when you’re nervous, experiment with doing the opposite. Make your gestures and speech more deliberate and relaxed. Smile wide. A happy face looks more confident and attractive. Think about how you feel when someone beams at you and share that joy with others. Get a haircut. Careful grooming reminds yourself and others that you’re worth caring about. Treat yourself to a makeover. Change your hairstyle or buy a flattering pair of pants. Exercise regularly. It’s easier to look and feel confident when your body is strong and limber. Find a variety of physical activities you enjoy and will want to maintain. Breathe deeply. Use your breath to calm and center yourself. Lengthening your exhalations helps you to feel braver and manage stress. Avoid fillers. Upgrade your communications by cutting the “ums” out of your vocabulary. Replace those fillers with a strategic silent pause instead. Prepare small talk. Conversation skills can be learned. If you often struggle to find something to chat about, brush up on interesting news stories or funny anecdotes you can share at parties or networking events. Express interest. Your anxiety levels decrease when you focus on others. Listen attentively, show enthusiasm, and ask relevant questions. You may make new friends and feel more connected to your old ones. Think positive. Pay attention to the things you like about yourself and others. Make a list of the events and experiences that you’re grateful for. Being upbeat will help you to appreciate your strengths and aim higher. Create a mantra. Your self-talk can undermine your efforts or boost your sense of self-worth. Find some words and phrases that lift you up. Post them somewhere you can see them and repeat them to yourself a few times each day. It’s natural to feel nervous in high-stakes situations like business presentations and some social situations. The more you practice looking confident, the more effective you’ll become at making a positive impression on others and strengthening your belief in yourself.